Our products has been meticulously reproduced as this beautiful Fiber Optic Tapestry Wall hanging. 5.Includes wooden frame at back and with hardware for hanging. Our products has been meticulously reproduced as this beautiful Fiber Optic Tapestry Wall hanging. 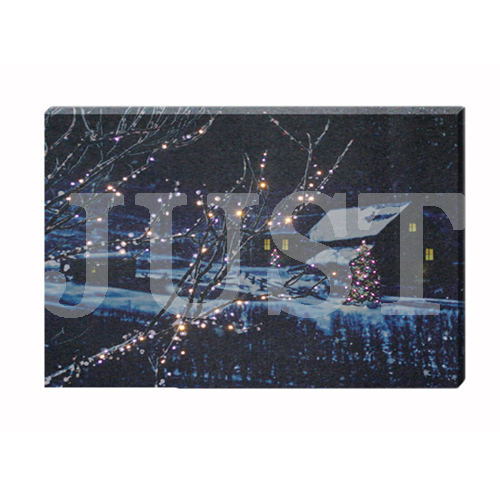 The wall hanging lights up with fiber optics in a pattern to complement the image. Just a beautiful piece for your holiday decor and gift-giving.